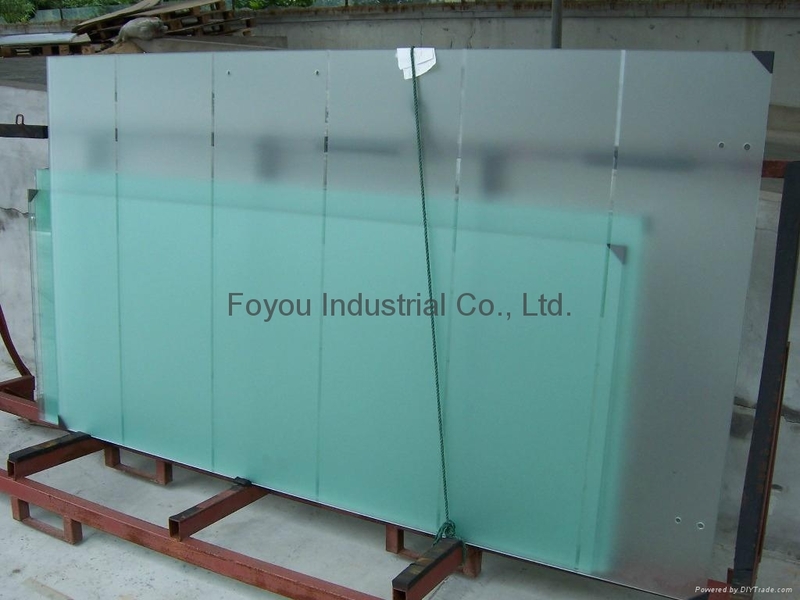 Acid etched glass, also named as Frosted glass, is produced with the method of acid etching. It can be single or 2 sides acid etching. The glass feels very smooth and pleasant, and it is fingerprint free. Used widely for decoration for doors or glass shower doors. We can produce acid etched glass in different sizes, holes or hinge notches can be added onto the glass, the edges can be shiny polished. We have been producing and exporting such acid etched glass to many areas.